To require the Secretary of State to develop a system for online voter registration on its website. An individual would have to have a valid driver's license or state identification card to use the proposed system. To repeal a state law that bans ticket “scalping” at sports and entertainment events, but also authorizes jail time for interfering with an internet-based ticket distribution system used by an event's promoter. To make a crime to anchor a vessel in the Straits of Mackinac, subject to two years in prison and a $10,000 fine. 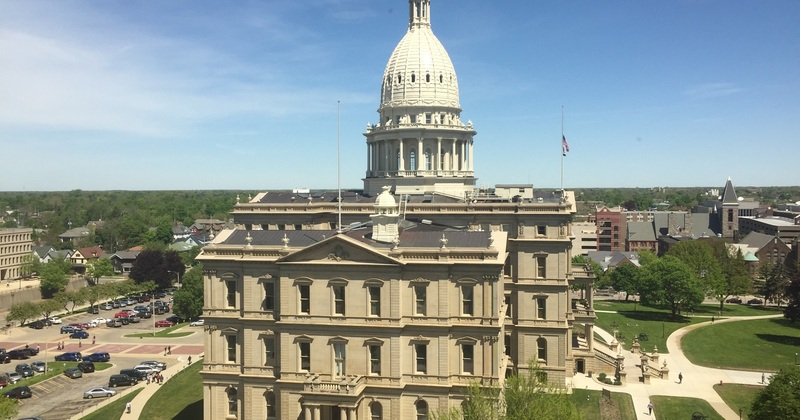 To permit some “retired” individuals formerly employed by the legislature to return to work and collect both a paycheck and a state pension check. To establish and impose a comprehensive state licensure and oversight regime for growers and handlers of industrial hemp. The House also passed House Bill 6331, which would legalize the sale of products with CBD oil, which is contained in some food and beverage products, and may have therapeutic uses. To limit the use of criminal records to determine whether an individual is eligible to get an occupational license mandated by the state, which is required to earn a living in many professions. Specifically, a licensing board or agency could not consider past civil judgments or lawsuits against an individual as evidence of a “lack of good moral character;” and also could not consider a criminal conviction, in and of itself, as conclusive evidence of this, unless the individual was convicted of a felony that is explicitly listed in statute as a disqualifying offense for the particular license.